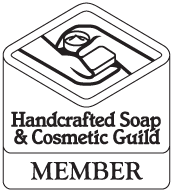 Over the past year, I have read and seen so many beautiful blog posts and YouTube videos from people who participate in Amy Warden’s Soap Challenge Club. I’ve been an observer up until now. I’m just not a very creative person. I love the science and chemistry of soap making more than anything. But when I saw the announcement for the Spinning Swirl challenge, I decided to join and give it a try. Like so many soap makers, I started making soap because of my allergies to perfumes and various chemicals. So I wanted to stay true to my all natural, no perfumes, no artificial colorants way of soap making, even with this Soap Challenge batch. I decided to use clays, charcoal, and infused oils for my colors and a blend of essential oils for my fragrance. The recipe I chose has always been a tried and true slow to trace recipe for me. But I learned that I’m asking a lot of it with a spinning swirl. Especially given how slow I am at…well, everything. It’s entirely possible I’m the slowest soap maker in the history of soap making. And the messiest. The first thing I did was prepare the colors. I like for my clays and various powders/herbs to sit around for awhile and hydrate, so I always prepare them first. Pink (left)- A weak Indigo Root Olive Oil infusion. Totally by accident, I discovered that an unshaken, weak olive oil infusion using Soap Making Resource’s Indigo Root Powder makes a beautiful pink soap. By unshaken, I’m talking about the Indigo Root powder you can never seem to strain from the oil. Even after straining twice through fabric, there is always some left that gathers on the bottom. When I shake that up, I get a light blue soap. Unshaken results in my favorite delicate pink color. The brand of Indigo Root powder seems to matter, as well. When I use Brambleberry’s, no matter what I do, I get some shade of blue. I keep both brands on hand. Black – Activated charcoal mixed with Sunflower oil, stirred and mixed until completely smooth. I use 1 part charcoal to 3 parts Sunflower oil. White – Kaolin Clay hydrated with enough distilled water to keep it fluid. Because I wanted the soap to be whiter than normal, I used 3 teaspoons per pound of oil for that portion. Red (right) – Rose Clay hydrated with distilled water until very fluid. The rose clay tends to be thick, so I used a lot of water and should have used more (as you will see in the video, the red gets thick on me). For my fragrance, I used a blend of Lavender (4 parts), Lavandin (2 parts), and Fir Needle (1 part) essential oils. I was going for a flowering forest type scent. At this point, my lye solution and oils had cooled down to about 87 degrees. When I’m doing swirls of any kind, I normally wait until everything gets down between 80 to 85 degrees. I really wish I had waited for 80 degrees. But more than likely, my soap thickening issue was because I blended just a little too long. I’m a chronic over blender. With every batch, I think, “This time, I’m stopping before it’s too late.” That has yet to happen. I made my square slab mold out of a heavy duty 8″ x 8″ shipping box, cut down to 4 inches high, and braced with a little duct tape. I lined it with freezer paper. The next 3 videos show how I made the spinning swirl soap. I separated them into 3 videos so you don’t have to watch the entire process, if you’d rather not. I apologize for the lighting. I had a fluorescent bulb, 2 crazy bright LED bulbs, and natural light all coming into the soap room at the same time. You’ll also notice that I don’t speak. I’m not a fan of how I sound in a video, so I just put up notes instead. Part 1 – Making the soap. Just a quick video showing the main ingredients being mixed (over mixed, that is) together. Here are 6 of my favorite bars out of the batch. I’m not right brained at all, so I have no idea what to call it. Going with my usual unoriginal naming, I’ll probably just call it Holly’s Spinning Swirl Challenge Soap. After this first batch and because it was so much fun, I decided to do two more using pastel colors (purple Brazilian clay, rose clay, kaolin clay, French green clay, and Turmeric powder). I actually learned from my earlier mistakes and did a much better job. But the resulting soaps just didn’t look as good to me as my first batch. You can sort of see them in the picture below. That is an amazing soap, Holly! I love that it is all natural and your trick for the pink soap is really cool! I’ve never heard that before! I’m so glad you joined the challenge and I hope you’ll come back for more! Holly enjoyed reading your blog and watching the 3 videos, you soap is really pretty and the fact that you went all natural is neat. Great job! Wow Wow Wow!!! The colors are so stunning!!! Great job! Beautiful swirl and loved reading your blog! Love that it’s all natural, Holly. And for someone who says they’re not very creative, you made a stunningly beautiful soap! Thank you, Debbie! That’s so nice of you to say! Beautiful and bold. And not the only messy soap maker…. Cris, Thank you! I’m glad to hear I’m not the only messy soap maker. Haha. :) Your soaps on your website are absolutely beautiful, by the way. Just stunning! You’re a pro, Holly! I’m so impress with you, your blog, the videos, and your lovely resulting Spinning Swirl soap. I like the high contrast design. And like Amy, I’m grateful for the tip about “weak Indigo making that pretty pink. Bravo! Also the mold is a well executed inspiration. Leela, you are so sweet to say all that! Thank you so much!!! Thank you!! Glad to know I’m not the only messy soap maker. :) Sometimes I am just amazed at my workspace when I’m done. These are beautiful, Holly- you did a great job. Your colors are one of my favorite combinations! Beverly, thank you so much! 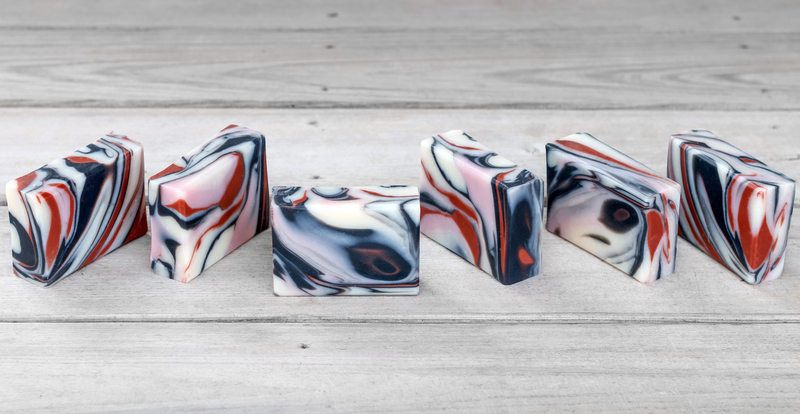 Really beautiful soap & swirls! Thank you so much, Jelena!